OMG, that cover! Plus, the whole arranged bride/dystopian future plot sounds very enticing. Can't wait to read this one. I've heard mixed things about this one but I can't deny the cover is gorgeous and the premise sounds like it could be fun! Hahahahaaha! You are too funny. Now, every time I see this cover, that's all I'll be able to think of. Great pick! I'll be reading this one this week thanks to an ARC tour I'm participating in. I can't wait to see what's what. When Harry Potter was popular, everything was "the next Harry Potter" and when Twilight was hot, everything was, "just like Twilight"
I'm currently reading this one and I'm really enjoying it ! 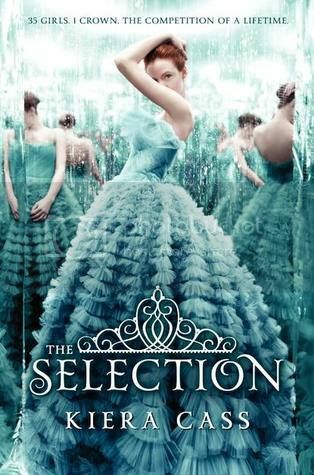 Oh, the Selection1 i#m really curious about this novel!! Is there drama on Goodreads?? *arches eyebrow* I'll have to check that out. Great pick! I'm pretty excited for this as well!